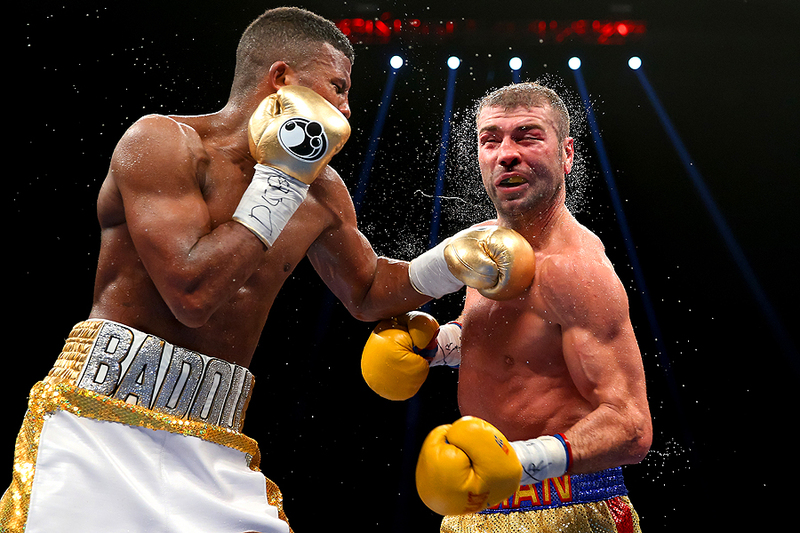 "Lucian Bute of Canada (right) is punched by Badou Jack of Sweden in their WBC super middleweight championship bout at the DC Armory on May 1, 2016 in Washington, DC." Timing is everything - and in boxing that's not always easy. Learning and adjusting to punching speeds is one of the most challenging things in documenting sports. While not always necessary, I always show up to boxing matches early to get a my rhythm and timing down with the under card fights. Not to mention, a lot of the times these matches before the title fights are just as good, if not better, photographically. With this being my third boxing night in a little over a month, I had a good night of connecting my clicks with connecting punches. While one of the two title matches at the DC Armory ended in a majority draw, all the images that night showed the heart and hard-hitting action that boxing is known for. As always, much respect to the fighters. There is nothing more vicious in sports than a night ringside.